The phone comes with a 5.5 inches touchscreen display, 13 MP primary camera, 4 GB RAM, and 3000 mAh battery. A rear-mounted fingerprint sensor is supported by both G5s and G5s Plus. The software and chipsets remain the same as of their predecessors. Check out the 10 best cases for Motorola Moto G5s Plus in this list below! 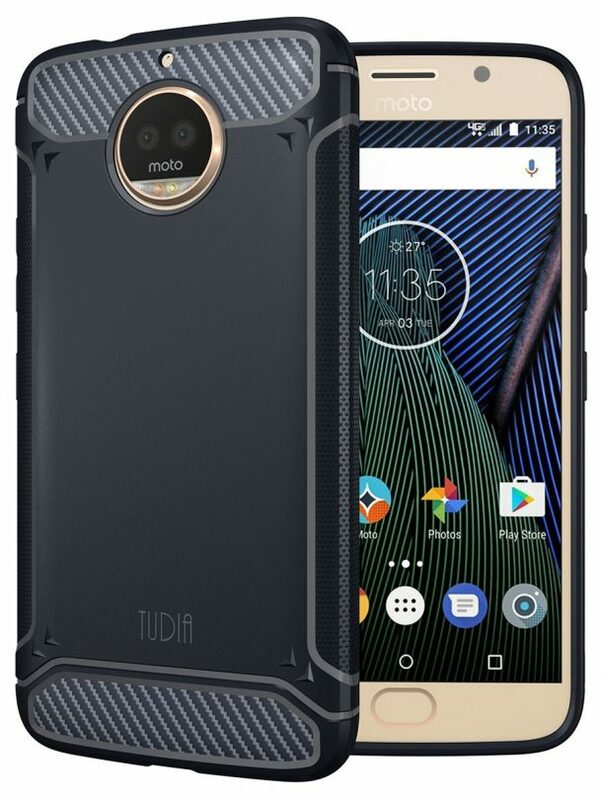 Specially designed for Motorola Moto G5s Plus, this is an ultra-slim back cover case that not only protects your phone but also nullifies its presence. The TPU gel case is made shock absorbent and scratch resistant. Your device is protected from scratches, scrapes, dust, debris, daily wear, and tear. Precise cutouts enable full access to user interface, camera lens, headphone jack, speakerphone, and microphone. Allows charging without removing the case. Additionally, the dotted texture interior maintains the phone’s form and color by preventing air bubbles from forming at the back of your phone. This is a shockproof hard back cover case specially designed for Moto G5s Plus. The advanced polycarbonate withstands drops, bumps, and shocks with cushioning that ensure to give full protection to your phone. The raised bezel protects the camera lens from smearing on a flat surface when placed face down. Precise cutouts enable access to all ports and functionalities. Available in six different colors! This is a premium quality thermoplastic urethane case made incredibly durable and offers a firm grip. Unique design allows easy access to all buttons, controls, and ports without the need of removing the case. Raised edges protect the display screen from scratches when you place the device face down. The textured sides make it anti-slip and promise grip enhancement. This shock-absorbing case is available in gray, navy blue, and black colors. Made 100% compatible with Moto G5s Plus, this is a dual-layered partial coverage back case by Kaka. The case comes with an exterior polycarbonate shell with wire drawing design that makes the unit anti-slip, anti-scratch, and anti-fingerprint. The soft thermoplastic urethane interior defends your device from shocks and bumps. Precise openings at exact locations enable a hassle-free usage. Also, specially raised cutouts protect the core openings of your phone. Available in black and rose gold colors. 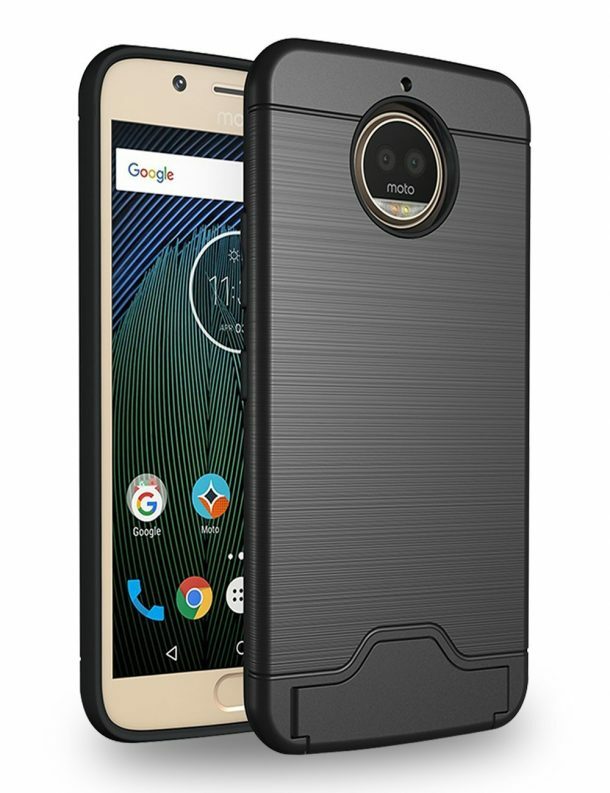 This is a hybrid and form-fitted phone case for Motorola Moto G5s. Made of a scratch-resistant polycarbonate back, brushed back and the flexible TPU are lined on the interior. A slot for your important cards is also made (which can get stuffed with on-the-go cash). A foldable kickstand allows for hands-free and landscape viewing. Projects the combination of a sleek and modern looking phone case mixed with just the right amount of lightweight daily protection! Assiduously engineered to be anti-abrasion and scratch-resistant, this is an incredibly chic back cover case for G5s that partially encapsulates your device. The interior is lined with soft TPU cushions to enhance edge and corner protection. The solid exterior keeps the device pristine and abuse-free. Additionally, raised bezels prevent the lens from smearing when placed face-down. An integrated aluminum ring lets you operate your phone single-handedly. An exceptional choice! This is a premium quality thermoplastic urethane case designed to preserve the phone’s original design. The raised bezels protect screen and camera from surface contact. The unit is made anti-slip to give your smartphone more grip. Precise cutouts allow access to all ports, speakers, and cameras. The matte coated surface makes the unit resistant to scratches. The flexible TPU disperses shocks well. Available in Matte (black, blue, pink, and smoke colors). This is a heavy-duty dual-layered case by Omoton featuring a non-slip design on the back. Your device is protected from impact drops and shocks. The soft TPU exterior is comfortable to touch and maximises the protection of the phone via durable polycarbonate interior. An integrated kickstand allows for hands-free and landscape viewing. Full access to all phone functionalities is offered. This case by Dretal is made using environment-friendly plastic and anti-stretch TPU rubber. The air-cushion technology protects the corners of the device from impact shocks and drops. Stylish and slim, the precise cutouts allow full access to all phone’s functionalities. The transparent back lets you enjoy the original look of the phone! 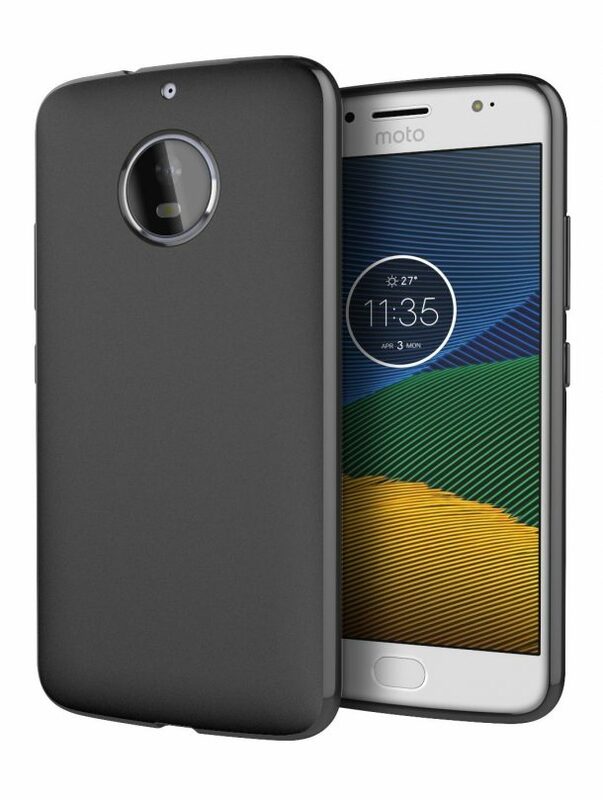 Exclusively designed for Moto G5s Plus, this soft bumper case absorbs shocks and offers an anti-slip finish to secure the phone from bumps and drops. The flexible TPU improves compatibility with most screen defenders. A kickstand allows for hands-free and landscape viewing. Precisely cut openings allow full access to all the functions of your device and ports.